Great snacks at great value. This is the promise of the Granny Goose® brand. The original company was founded in 1946 in Oakland, CA by Matthew Barr. He used the Mother Goose icon in the logo and name to give a sense of nostalgia. 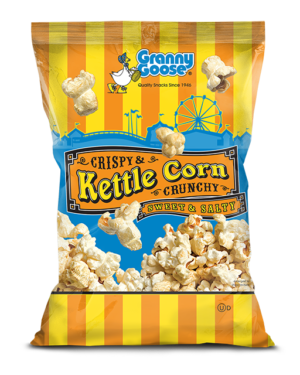 Just as Mother Goose provides a collection of memorable fairy tales, so too does Granny Goose® provide a memorable cornucopia of snacks! Snak King acquired the Granny Goose® brand in 2000 and continues to honor the original brand with a delicious range of snacks sold at affordable prices. 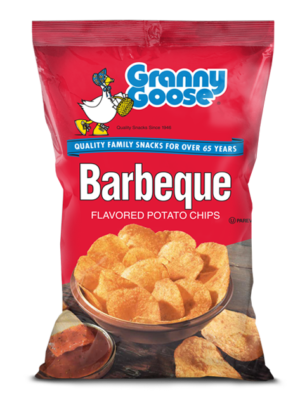 Cheering on your favorite team is not complete without Granny Goose® Snacks!